Where to find deals on live lobsters and more. 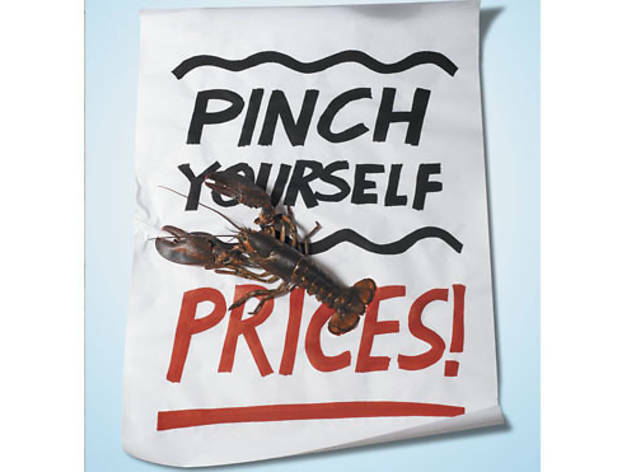 I’m looking for a reasonable price on live lobsters (and other seafood). 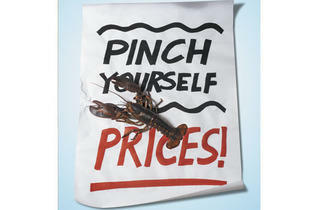 I love Dirk’s but it gets so pricey, and the lobsters are especially expensive. Glenn’s Diner Tuesday through Friday, the catch of the day (with potato, veggies, soup and salad) is $17. Now good luck getting a table. 1820 W Montrose Ave (773-506-1720). Fish Bar Hop onto a bar stool at this DMK Burger Bar sibling for grilled, fried and sandwiched seafood, most of it less than $10. 2956 N Sheffield Ave (773-687-8177). Big & Little’s Fish and chips, po’ boys, fish tacos and, um, foie gras fries, all churned out of an inconspicuous shack just west of the Brown Line. 860 N Orleans St (312-943-0000). Calumet Fisheries This South Side spot is famous for smoked fish, but it fries the stuff for cheap, too. 3259 E 95th St (773-933-9855).